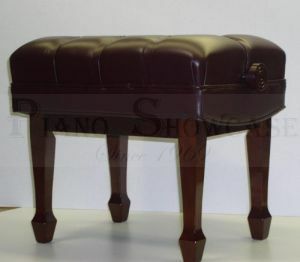 If you're looking for the finest Artist Piano Bench made - This is It! Made in the USA, Paul Jansen products have been manufactured with great care for over 60 years. 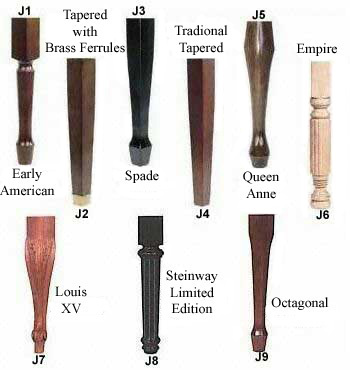 'Benchmakers' to Steinway, Baldwin & Kawai, their exceptional quality begins with a selection of superior materials. 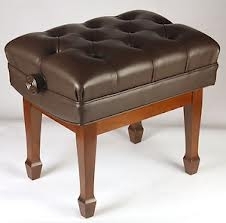 and they use only the finest Leathers & Vinyls for their bench tops. 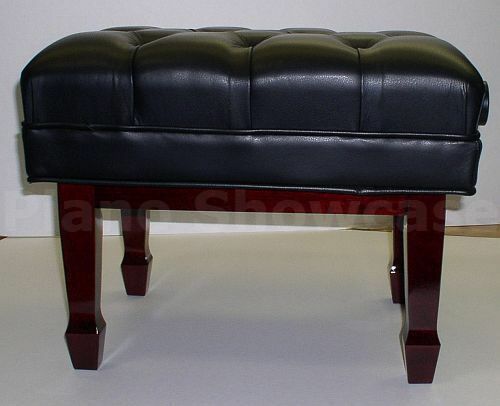 Seat size - 21-1/2" x 16-1/2"
Diamond Tufted Top or (Optional custom-made Smooth Untufted top (Vinyl Only) at no extra cost). The Jansen Artist Bench is a total delight. The walnut/brown leather combo matches my 1988 Baldwin Grand perfectly. 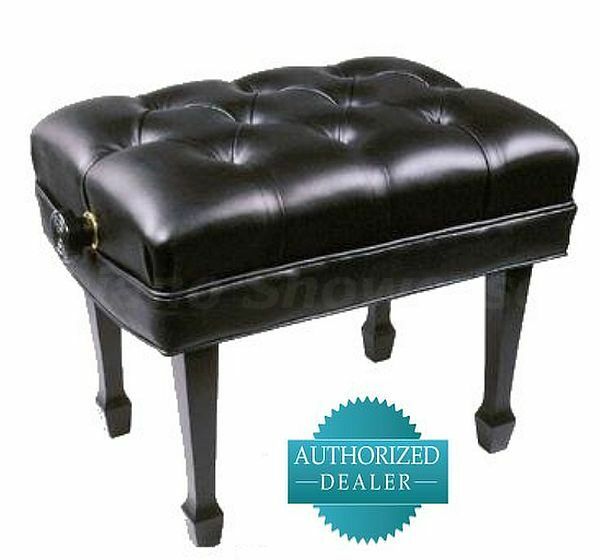 It is extremely sturdy and comfortable. 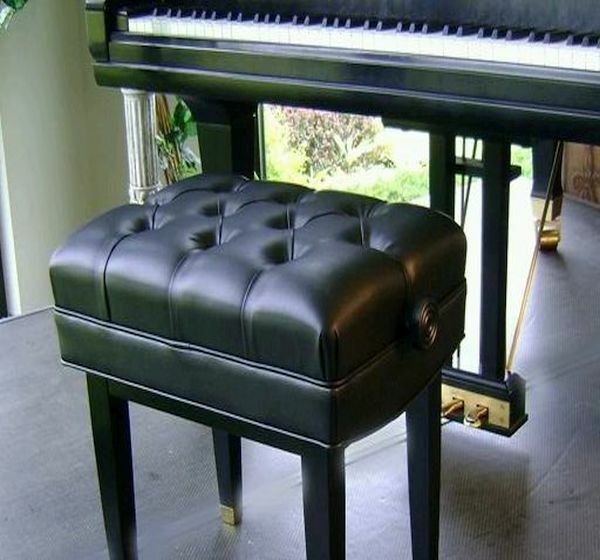 The ability to adjust the height is marvelous for this old-school player who has spent more than six decades on a classic piano bench. The difference in shoulder strain is very significant. 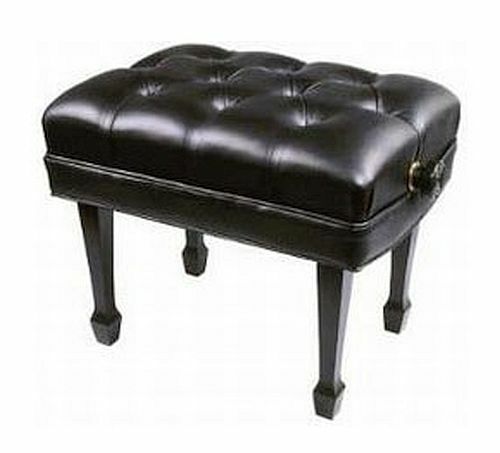 The Jansen Artist Piano Bench I ordered arrived even earlier than the expected date, which was perfect for a birthday/ anniversary gift for my wife. She insisted that the old bench, a vinyl import with cracked, dried out upholstery which pinched and scratched during use was just fine, and she refused to let me give her a new one. The Jansen bench was of much higher quality, a hit! And, a surprise! 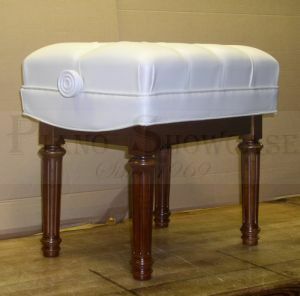 The Paul Jansen Artist Piano Bench arrived within two days just as promised. My girlfriend absolutely LOVES it as she sits at her K Kwai concert grand to play! She invited several close friends over for a Christmas recital and the Bench was a HIT! My vandaking.com representative was SO HELPFUL in every way! This was from minute one, the BEST shopping experience ever! FIVE Stars in every way!